Renowned photographer shares universally applicable wisdom learned from 40 years of worldwide assignments. Steve Uzzell is a renowned advertising and corporate photographer. He started in the photography business as an assistant to the editor of National Geographic and a member of their photographic staff. 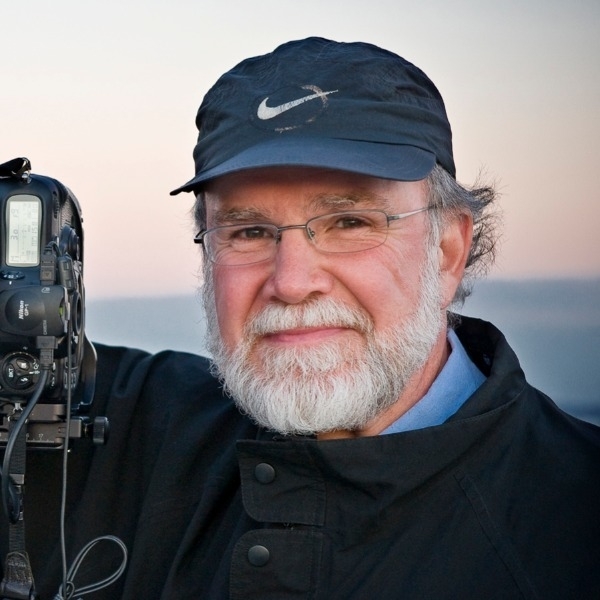 He has published two books of his photography, Maryland and The View from Sterling Bluff, his editorial work has been featured in such publications as Newsweek, Time, The Smithsonian and U.S. News and World Report, and his cinematography has aired on ABC, CBS, NBC and PBS. Uzzell spends six months of the year traveling throughout the world for his clients; the remainder is spent teaching and delivering his presentation Open Roads Open Minds, an exploration of creative problem solving. Steve's actively-filled assignment calendar is the result of his uncanny eye, detailed preparation and his ability to exceed expectations. Steve Uzzell could have chosen to design bridges, but his inner voice sent him down a more interesting path of great beauty, and now has led him to share not only his wonderful photography, but his insights into the creative process itself. Using his own wonderful photographs as illustrations of his metaphor about possibility and creativity, Steve inspires his audiences to take advantage of his experience and his astounding photographic portfolio to make any venture an adventure. Steve's approach to his photographic work serves as a blueprint for us to clearly see that solutions are sometimes found in very unexpected places. In any project Steve undertakes, he lays the foundation for magic to happen, turning his focused attention to each client individually. "Chance favors the prepared mind," said Louis Pasteur. Our eyes see only what our mind is prepared to comprehend. As Steve stresses, the open road never fails to open your mind; and once your mind is open, the power of your imagination is released. This formidable power knows no bounds. Steve uses his mind-stretching photos to bring the open road alive and full of possibilities. Learn to put this perspective to work for you everyday - in problem solving, in the creative process, and in your life. When the destination becomes the journey, the circle is complete, and you begin anew. Take a different way home and enjoy the ride.